The place was well located and had everything we needed for a pleasant stay. It was comfortable and clean and nicely decorated. Great host- Helen was kind and helpful. Great location. Very comfy accommodations and perfect for traveling with kids. The host was very friendly and contacted us ahead of time to let us know about access. Very close to big supermarket, easy walk to centre of town. Bath is a town unlike any other, it is a must see. Beautiful gardens and trees and the architecture is really something. The apartment was quite nice, although on the second floor so a lot of stairs to climb. There is a large supermarket directly across the street, open until 10pm, so very easy for obtaining last minute things needed. Brilliant location, spotlessly clean, really nicely decorated! Helen was lovely, very helpful answering all my silly questions before we arrived! 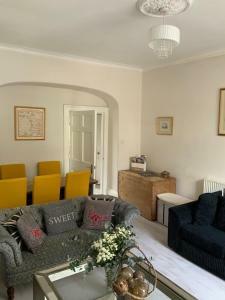 Lovely apartment, perfect for a weekend in Bath with friends. Fab garden with beautiful mature tree at the end but unfortunately we didn’t have enough time to enjoy it. Beds were very confortable. Nice living space to sit and chill out. So close to town and sainburys right across the road! Hostess was very Friendly and helpful. Location is great. Apartment was clean, well decorated, comfortable, and secure. Really good Sainsbury's across the street, but you don't noticeable it too much with the trees. Seeing the old Green Park train station through the trees is what I like seeing. Sofa comfortable and bathroom clean, comfortable, and inviting. Very comfy double sofa bed. The TV wasn't working on arrival and Helen was with us within 30 mins to try and sort it. Great response. Very handy having Sainsbury's a hop, skip and a jump across the road. Great location - 10-15mins walk from all the places we wanted to visit. Lock in a great price for Bath Norfolk Buildings Apartments – rated 9 by recent guests! 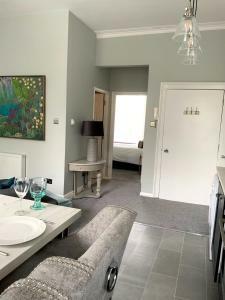 Bath Norfolk Buildings Apartments This rating is a reflection of how the property compares to the industry standard when it comes to price, facilities and services available. It's based on a self-evaluation by the property. Use this rating to help choose your stay! Located just 5 minutes’ walk from Bath's historic city center, Bath Norfolk Buildings Apartments boast spacious and light apartments with free Wi-Fi, river views, and easy access to Bath's landmarks. 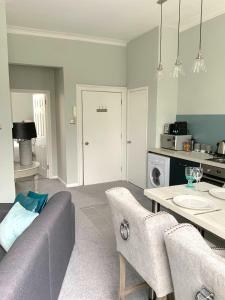 Each apartment at Bath Norfolk Buildings features a lounge with a HD flat-screen TV, DVD player with DVD library and iPod docking station, and a bathroom with free luxury toiletries. All bedrooms feature orthopedic mattresses and a flat-screen TV. One of the apartments features a private garden with a seating area for an alfresco dining experience. Bed linen and towels are provided. Travel cots can be provided for an additional charge. There is a fully equipped, fitted kitchen, and guests can make use of the self-catering facilities, such as a microwave and an oven with hob. On-street parking is available at a surcharge at Norfolk Buildings Apartments, and the historic Bath Abbey and Roman Baths are just a 5-minute walk away. 뀐 Located in the top-rated area in Bath, this property has an excellent location score of 9.5! When would you like to stay at Bath Norfolk Buildings Apartments? Located on the ground and garden floors of this townhouse, this light and spacious apartment features a lounge with HD TV and two sofa's as well as dining space for 6 people. Each bedroom has its own TV. With free Wi-Fi, it also includes a fully equipped kitchen, a dining area, and a garden with a patio heater. One of the bedrooms features a king-size bed and the second bedroom can be set up as a king or twin room. Please request when booking. With an open-plan living area and a fully equipped kitchen, this light and modern apartment features a lounge with a 42-inch HD TV, free Wi-Fi, and a beautifully tiled walk-in shower. The bedroom includes a 32-inch TV. There is a king-size or twin bedroom (state preference when booking). Set over 2 floors, the second and third floor of the building, this light and spacious maisonette features a lounge with a 42-inch HD TV, DVD player, and a comfortable sofa. Free WiFi is available. There are two bedrooms and a fully equipped kitchen with a dining/seating area. The first bedroom has a super-king size bed that can be split into 2 single beds. This bedroom has large windows overlooking the River Avon. The second bedroom has a double bed and roof top views. Grade II listed Georgian town house set up as three apartments On the ground floor and lower ground floor we have Gildas Gardens. This is the garden flat. On the ground floor you have the Living / Dining Room and the Kitchen, on the lower ground floor there are two large bedrooms, a shared bathroom and a large garden to the rear of the property. There is also a washroom with WC in the landing between both floors. On the first floor we have River View which is a one bedroom flat with views to the rear over the river Avon. This has been completely refurbished in January, 2019. On the Second and third floors we have Maisies Maisonette with Living / Dining / Kitchen area on the second floor with a bedroom and shower room. We have an en-suite bedroom on the top floor with character beams. 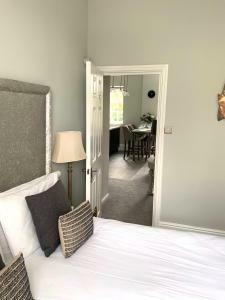 Set in a no through road with the river close by it is tranquil and not like being in the heart of the city yet only 5 minutes level walk to Kingsmead Square, Theatre Royal. House Rules Bath Norfolk Buildings Apartments takes special requests – add in the next step! Up to three children under 6 years are charged GBP 25 per night when using existing beds. Bath Norfolk Buildings Apartments accepts these cards and reserves the right to temporarily hold an amount prior to arrival. Guests are kindly requested to inform the hotel in advance of their estimated time of arrival. This can be done by contacting the hotel/property using the contact details found in the booking confirmation. Please inform Bath Norfolk Buildings Apartments of your expected arrival time in advance. You can use the Special Requests box when booking, or contact the property directly using the contact details in your confirmation. Noisey boiler in bedroom kept us awake ! The one and only thing I can put for this, is that on the bottom floor apartment the lounge area was rather cold. If we turned the heating up, the bedrooms then became to hot! But we resolved the matter by just putting a jumper on! Excellent location! Super accomodation that was perfectly clean and well looked after. Great host who provided brilliant information and was helpful from the very start of making the booking! The whole weekend was perfect. 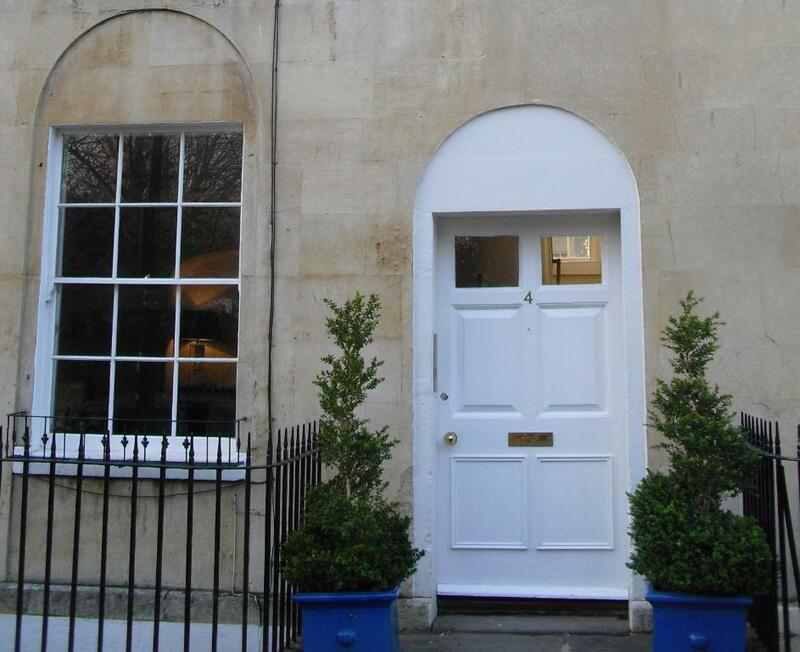 The apartments are so central and walking distance to everything in the center of Bath. I would 100% recommend to a friend and stay here again! A bit noisey- not much sound proofing between floors. Bed could do with a new mattress. Great apartment, amazing location and great host. We cooked breakfast in the morning, pans could have been better but we managed all the same. Right side of bed sloped off a little. Excellent location, and a very clean flat with good beds. The host Helen was extremely friendly and helpful. It was gorgeous - it was really roomy, loads of little touches, very comfortable & decorated so it was all Christmassy ! The payment system which rejected every card for no good reason. Helen was very helpful, but we ended up having to pay in cash. Fantastic Location. Helen was super helpful and it was perfect for a catch up with friends. We will definitely return. I slept on the sofa bed and it was so comfy! Equipment fitting the description, there was no microwave, dvd player, ipod docking, luxury toiletries, instructions for using oven, coffee maker, tv, heating. The open chimney being blocked up. The doors made easier to open. A second bedroom with enough space for a dressing table or bedside table or wardrobe or all of the above. A better central heating system matching the size of the property. Curtains at windows. Noisy location and noisy neighbours. And a host willing to discuss these matters.